There are some specific conditions for approaching port of Varna West. The port is located at the west end of Varna water basin comprising the lakes of Varna and Beloslav together with the linking canals. Ships can navigate these canals (No. 1 and No. 2) in one direction only with limited speed. Ships can pass each other in Varna Lake where anchorage for waiting is available. Also, these is a limitation on the air draught of vessels, because Canal No. 1 goes under Asparuhov Bridge. Charges for navigation in canals are collected by the State Company Port Infrastructure. 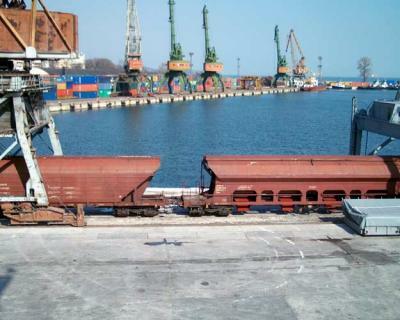 Port of Varna provides easy and convenient access to the national road network. It takes only a minute to get from Varna East to Asparuhov Bridge which is part of Road E-87 connecting Varna with Burgas and proceeding to the border with Turkey. roads: the “Hemus” highway (Varna-Sofia) and Road E-70 (Varna-Russe). 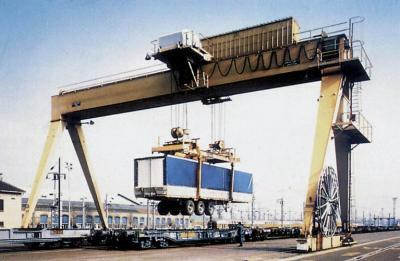 - specialized block-trains and transportation of intermodal cargo units (UTI service). Varna Airport is the second largest international airport of Bulgaria situated at 10 km away from the city center. It is a point of intersection for 70 destinations in more than 20 countries, and it serves mostly the tourist traffic to Bulgarian Black Sea Coast. The airport has a reliable and convenient runway where the world’s largest and most modern aircraft have landed – the freight airplane AN 124 (Ruslan) and the giant Boeing 747.